The heavy rain has come at a cost. 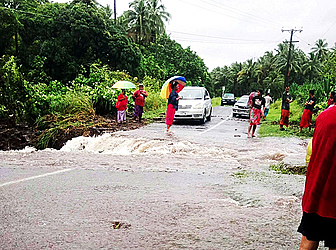 At Aopo Savai’i for instance, the road there has been severely damaged due to flooding during the past few days (picture below). Cars coming from Sasina to Aopo and vice versa have had difficulty crossing the road. 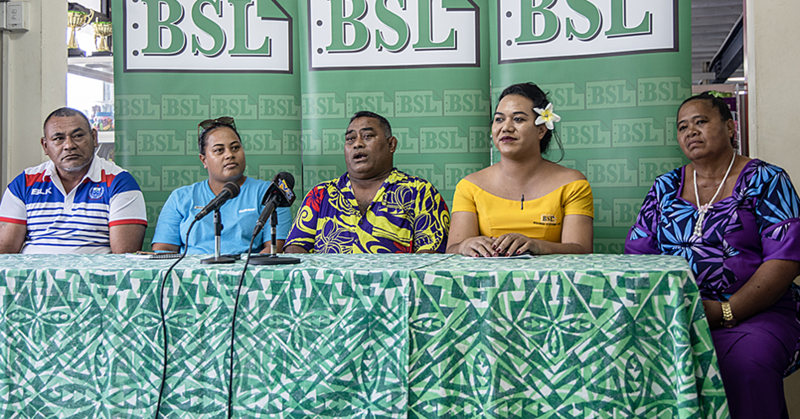 But any concerns about the continuation of the bad weather were assuaged by the Assistant Chief Executive Officer of the Samoa Meteorology Division, Mulipola Ausetalia Titimaea. He said there is no need to panic but members of the public need to be aware of strong winds and possible flooding in vulnerable areas. The bad weather, he said, is caused by low clouds around the peripherals of the ocean’s coastal areas. “But as soon as these clouds slowly move away from Samoa then we will have fine weather again,” he said. “It’s just a small change in the weather which I assure you, that there is nothing to be worried about. 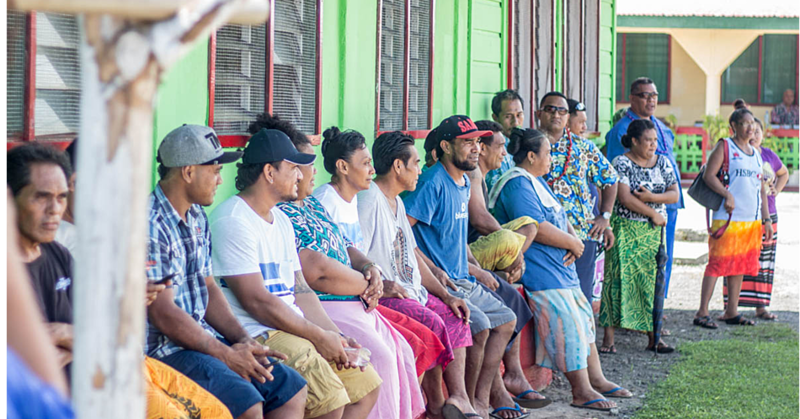 “Sure strong winds and heavy showers are scattering throughout different parts of Samoa but that’s it, nothing more.